In recognition of International Women’s Day on March 8, and the celebration of Women’s History Month in March in both the USA and UK (Women’s History Month in Canada takes place in October), this post shares the findings of an undergraduate student from Seneca College about whether women in the grade 7 and 8 Ontario history curriculum were “significant.” Spoiler alert: They are not. First, some background: Seneca College in Toronto, Ontario offers an Honours Bachelor of Interdisciplinary Studies that involves a three-semester Capstone where students engage in the proposal, collection, and analysis of primary research. I have supervised the proposal and collection courses of the Capstone since 2016. 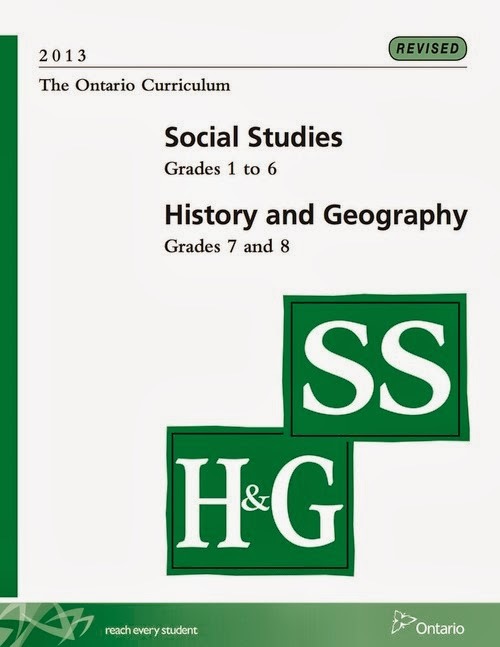 In the fall term of 2018, one student, Jvalin Vijayakumaran, conducted research on the Grade 7 and 8 Ontario history curriculum to determine if women were “significant.” While both history curriculum and gender studies are both keen interests of mine, I was both surprised and impressed as to what Jvalin’s found in his research (for a topic I did not direct him toward despite all evidence to the contrary!). Because Jvalin is currently on placement as a requirement for his program, he provided me with his notes and analysis to share in this post. Although “significance” can be both arbitrary and subjective, Jvalin identified that the frequency of women and gender referenced in the curriculum would be demonstrative of the degree in which the Ministry placed importance on teachers covering issues of women and gender. As I discussed in an earlier post about the Ontario history curriculum, because the focus of the curriculum is on investigating different moments in history through asking questions and exploring primary sources, there is a lot of leeway in the curriculum for teachers to choose the types of content that will meet the mandated learning objectives. To provide some direction and inspiration, the curriculum provides “Examples” and “Sample Questions” for each objective. Identify factors contributing to some key events and/or developments that occurred in and/or affected Canada between 1890 and 1914 (e.g., the Boer War, promoting Canada as a destination for immigrants, the growth of the women’s suffrage movement, the founding of the Children’s Aid Society, the immigration of British Home Children to Canada, the expansion of homesteading in the West, the growth of labour unions, anti-Asian riots in Vancouver), and explain the historical significance of some of these events and/or developments for various non-Indigenous individuals, groups, and/or communities. Examples are italicized in the main text and the Sample Questions are under a bolded heading under the text to highlight their optional and illustrative nature. The learning objectives, and aligned examples and sample questions, are wide-ranging and provide direction away from a tried-and-tread celebration of post-Confederation progress that often follow from a pre-World War I history class. Jvalin though that looking at these Examples and Sample Questions would be the best way to determine importance or significance of women in the curriculum; asking: According to the 2018 Ontario history curriculum for grades 7 and 8, how important is it for teachers to include women and gender roles in their lessons? To answer this question, Jvalin read the curriculum, identified themes, reread the curriculum, coded examples and samples into those these, and continued to repeat the process after further reading and conversations with me. What he found in his small-scale research project was kind of astonishing. First, he found that individual men were mentioned 78 times in the Examples and Sample Questions of the grade 7 and 8 History curriculum, but individual women were mentioned only 18. A ratio of 4:1. Second, he found that whenever women or explicit references to gender was mentioned, the Examples and/or Sample Questions focused on the struggles individuals had to overcome. Women’s work and/or accomplishments outside of struggle and challenges were not featured. Third, women as feminists fighting for greater and equity for women and gender issues was less prevalent that women being actors in general struggles for greater equity in Canada. Women’s inclusion in the curriculum were brought in as examples of accomplishments to Canada, rather than accomplishments on their own. Fourth, Jvalin coded his data for specific events the examples and sample questions mention, such as the Battle of the Plains Abraham. He found that women were never mentioned along with these events, although key male figures sometimes were. Fifth, in 2018 to align with the recommendations of the TRC, the Ontario government revised the elementary Social Studies and History school curriculum to have a greater focus on issues of indigeneity and the Canadian nation. Jvalin found examples and samples related to First Nations, Metis, and Inuit peoples were quite prominent in the revised curriculum; however, he found the mention of First Nations, Metis, and Inuit women almost non-existent. From these initial findings, Jvalin concluded that women and issues related to gender were not significant in the Ontario grade 7 & 8 history curriculum. They were there, but when examined alongside the other themes found within the Examples and Sample Questions, women and issues related to gender were not part of the curriculum to push outside of patriarchal narrative of Canada. Rather, they were there to support a larger narrative of Canadian progress against inequity. We also found that while there are a plethora of exciting resources (see below) for teaching about women and women’s history, without the suggestion by the Examples and Sample Questions of the curriculum to remind/encourage/suggest teachers look for these resources, these supports are for naught. What I saw in Jvalin’s data was the typical add-and-stir entry of women in a more cohesive world of men. I’m drawn to women’s history because of the ways in which women and gender issues in history can redirect the view of the past. While it might be exciting that women are mentioned in the curriculum, these women do not challenge the story that is told about the lives people lived in the past. I always think of Dr. Rose Fine-Meyer’s example of women in war: It is easy to say that women are not taught in histories of war because women did not fight in battles. However, with a feminist women’s history lens, we can see women all over the battlefield: in the uniforms they sown, the food they cooked, the letters they wrote, and the medical service they performed. Thinking of war with this type of presence of women on the battlefield, makes for an connected, enmeshed, and embodied understanding of war that traditional narratives of war fail to elucidate. The grade 7 and 8 history curriculum in Ontario covers a span of 200 years: 1713-1914. What examples and sample questions can we add to the curriculum to illuminate women and gender in topics related to the key concepts in these grades: historical significance, cause and consequence, continuity and change, and historical perspective. Or, as I have critiqued in other places, can these concepts do this work at all? Tomorrow, Dr. Rose Fine-Meyer will provide a background post as to how women and gender have been incorporated in the Ontario curriculum. “Who are Canada’s ‘most historically significant’ women?” by Donica Belisle and Andrea Eidinger. The Conversation. 2018. “What Schools Teach About Women’s History Leaves a Lot to Be Desired” by Anna White. Smithsonian Magazine. March 2019. 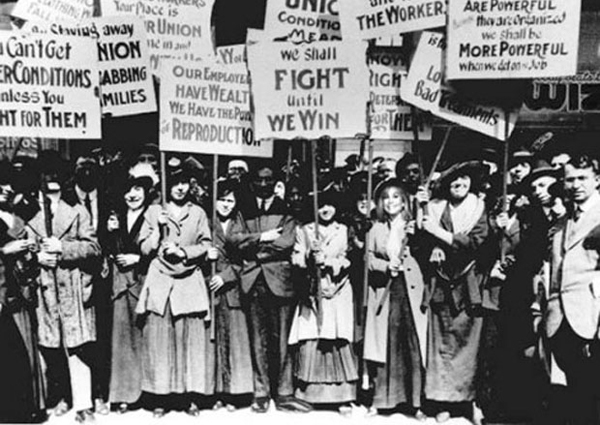 “Rethink the Past to Reshape the Future… A Women’s Historian Weighs In” by Pam Elam. Women You Should Know. November 14, 2016. Dr. Samantha Cutrara is a History Education Strategist and is currently working in the Office of the Vice Provost Academic at York University as a Curriclum Specialist. Find more information about her consulting and academic work on her website: SamanthaCutrara.com.